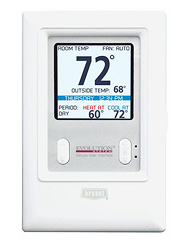 The Evolution® Control thermostat simplifies home comfort with 7-day programming of temperature, humidity and air quality. 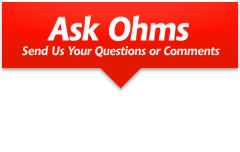 Large buttons, an easy-to-read screen, multi-zone settings and optional remote access assure superior performance. 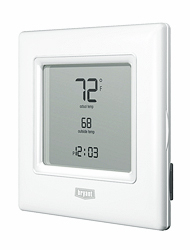 It's our top of the line thermostat programmed for fool-proof ease. 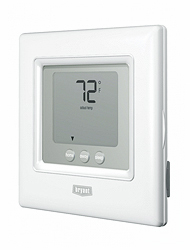 The Preferred Programmable thermostat offers the lastest in slim, pleasing aesthetics to enhance any room, and it makes programming a snap. You can plug the optional ExP® memory card into your computer's USB port, or open the face and use the easy-to-understand buttons.